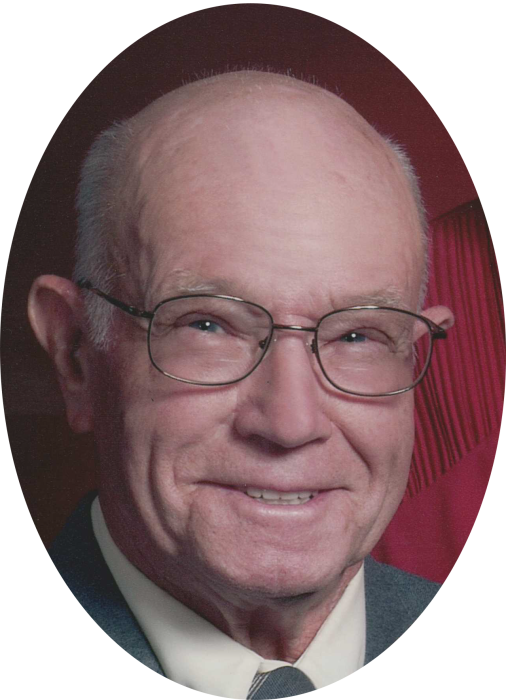 Verdon Samuel “Rabbit” Lane, of Opdyke, IL passed away at 3:45 am Friday December 29th, 2017 at his home. He was born in rural Bluford on November 8th, 1926 to his parents Samuel Virgil Lane & Ruby (Shelton) Lane. He married Freida Mae (Piercy) Lane on April 5th, 1947 by Elder H. V. (Cash) Lowery at his home. Verdon provided for his family by holding various jobs, including: car shops, stove foundry, coal mining, concrete plants, farming, and raising cattle. He also was a US Navy Veteran, serving in World War II. He was a Gunner’s Mate 3rd Class, and was awarded the Victory Medal, American Area Campaign Medal, and Asiatic-Pacific Area Campaign Medal. He was a faithful member for 57 years at the East Hickory Hill Missionary Baptist Church in Bluford. He served God by helping others, volunteering with teaching Sunday School, maintenance, and many building projects. He especially enjoyed ringing the church bell at 9 am every Sunday morning until health issues prevented him from continuing to do so. He is survived by his wife Freida Mae (Piercy) Lane, 2 sons: Charles Lane of Jackson, TN and Jr. Lane of Bluford, IL; 2 daughters: Connie (Chris) Draper of Wayne City, IL and Joyce (Wayne) Hails of Bluford, 2 brothers: Leonard Lane and Sammy Lane, 10 grandchildren: Christy (Kendall) Meritt, Lori (Neil) McKinney, Mike (Regina) Draper, Kirk (Kamla) Hails, Jason Lane, Corey (Whitney) Owens, Marisa (Steven) Sanders, Jacob Lane, Preston Lane, and Casey (Teresa) Hails. Also, 14 great grandchildren: Aubrey Lee, Garrett, Alyssa, Klayton, Jeremy, Cord, Kalyn, Kyle, Kloe, Weston, Alexis, Laney, Christian, and Shyloh. He was preceded in death by his parents, 3 brothers: Virgil, Vernon, and Harvey Lane, 2 sisters: Vaneta Lane and Norma Jean Thomason, and one great granddaughter Mahalia Verdawn Jones. Visitation will be held from 9 am until 11 am on Monday, January 1st, 2018 at the East Hickory Hill Missionary Baptist Church, located at 20761 E. IL Hwy 15 in Bluford. Funeral services will be held at 11 am at the church, with Pastor Ronnie Mick and Bro. Sam Lane officiating. Burial will follow at East Hickory Hill Cemetery in Bluford. In lieu of flowers, memorials may be made to the East Hickory Hill Missionary Baptist Church building fund, and will be accepted at the church, or at Young Funeral Home in Wayne City.